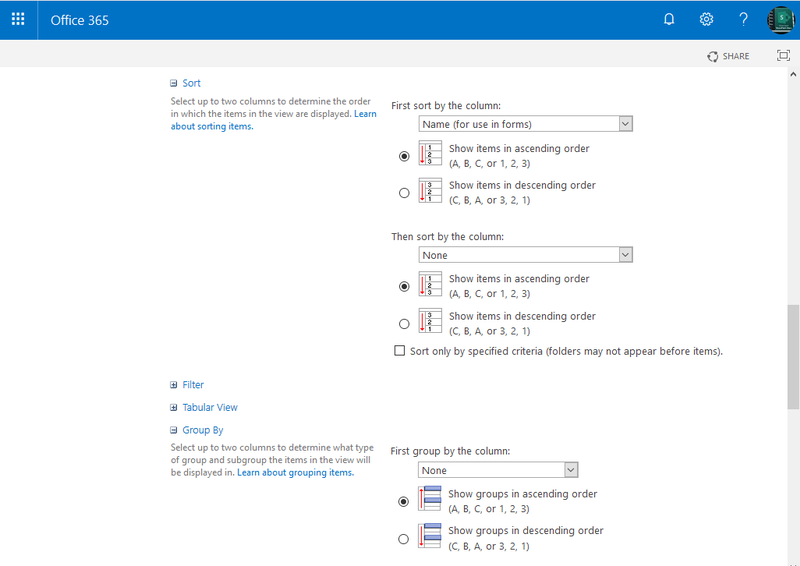 How to Set Sort Order and Group By Settings for a SharePoint Online List View? To set sort order or group by in SharePoint List view, Modify the view and select the field in Sort and group by sections. $Query= "<GroupBy Collapse='TRUE' GroupLimit='30' ><FieldRef Name='Author' /></GroupBy>"